The Beaton Road campus was transformed for one day only into Hutchesons’ School of Witchcraft and Wizardry. 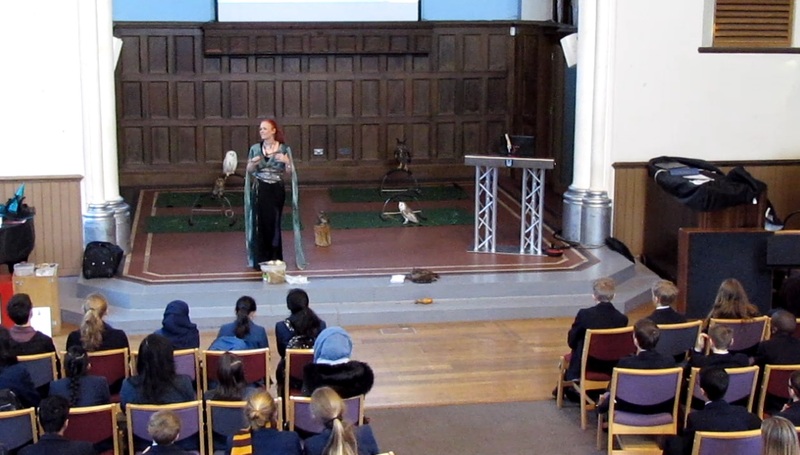 After a brief introduction to wand skills, all S1 pupils followed an alternative magical timetable on January 31st, swapping their usual subjects for Divination, Levitation, Charms, Potions and much more; they even met with some beautiful owls and competed in some fast-paced games of Muggle Quidditch. The Dining Hall was transformed into The Great Hall where the pupils enjoyed a themed lunch – which was briefly upset by a troll attack in the basement! Needless to say, staff and pupils alike had the most wonderful of days and we hope the pupils took away a little bit of magic from their time at our wizarding school. We would like to thank the staff from the many departments across the school who made the day so special with their creative and thoughtful lessons, the Dining Room staff who served us a hearty lunch of which even Hagrid would approve and the support staff for helping us to decorate the school so beautifully. A truly unforgettable day was had by all.